I haven't painted in yeaaaaars. I have two giant canvases at home, but have yet to make it happen. 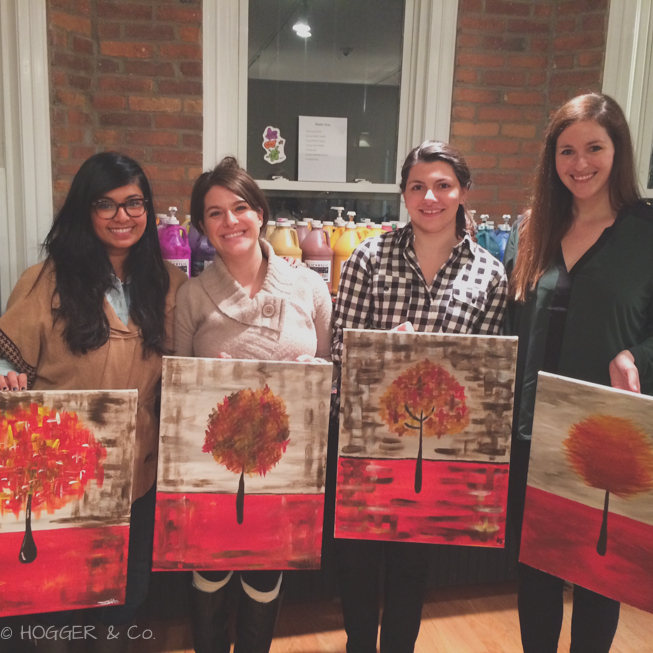 So, when I was invited to paint at The Paint Bar in Boston, I asked if I could bring along some friends to try it out with me and they were gracious enough to host us! At the Newbury location, we were welcomed by Breanna, who was the instructor for that evening. Mia, also an instructor, was behind the "bar" that night. Not only are the canvases included in the cost of the evening, but they are laid out with clean paintbrushes and water containers. All the paint is provided with instructions on how many pumps of paint per color needed for that particular painting. 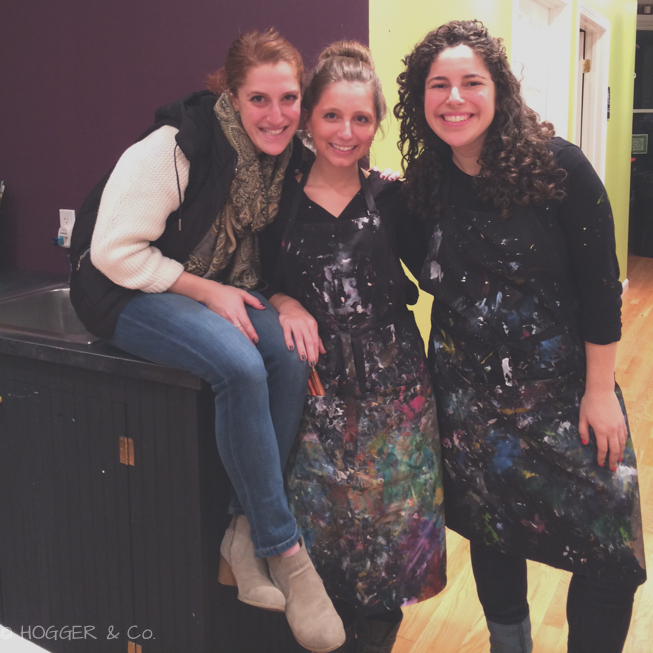 Aprons are also provided, for those paint (or wine) spills that may occur during a fun-filled night! Thanks Ana for this photo of me pumping paint! We all loved how paint-splattered the aprons were, so beautiful! The best part was the actual instruction, entertaining and easy to understand, with music provided between instruction so that you can really get into it! I loved Ana's painting pose. Wine to set the tone of my piece...of course! Our finished work, L-R, me, Alaina, Ana and Chelsea. A terrific way to spend an evening; so meditative! PLUS, you get to go home with a nicely painted canvas with something that resembles the ones Jackie has painted. Jackie is the daughter part of the "mom-daughter" team of Jackie and Jill Schon who started The Paint Bar, along with sister Mia. Thanks ladies for having us! OH, and I'm happy to say, my painting is hanging up at my just-moved-to-Boston-brother-in-law's home!